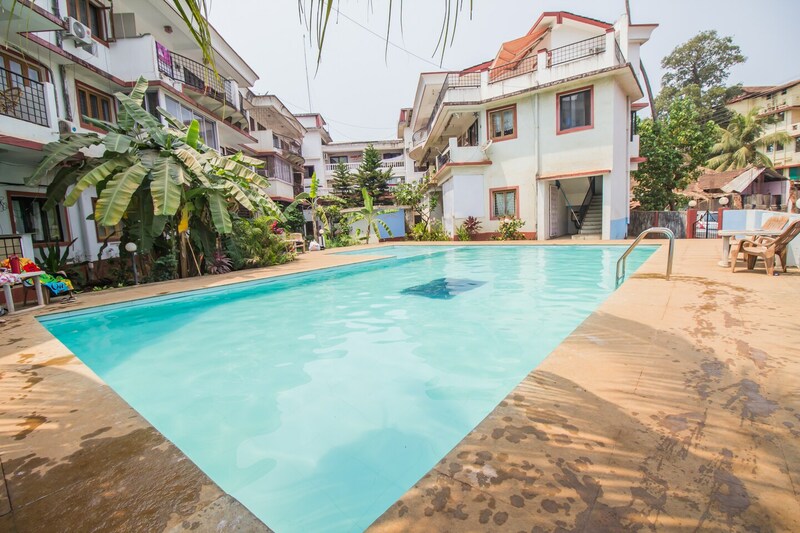 OYO 12423 Home Pool View 1BHK Candolim is ideally located in the heart of Goa. A perfect choice for the business and leisure travellers, the hotel offers quality comfort at unbelievable prices. OYOs skilled and friendly staff is always on their toes to cater to all your requirements. From regular to exceptional, you will find all the amenities such as Swimming Pool, AC, Dining Area in your room ensuring you have a pleasant stay. Wander around the city visiting its top attraction like Church Of St Alex Goa, Casino Palms and Casino Pride. Come back to rest your head in OYOs peaceful environment. Dont worry if you get short on cash, as there is ICICI Bank ATM, HDFC Bank Branch / ATM and Axis Bank ATM located at a walkable distance.